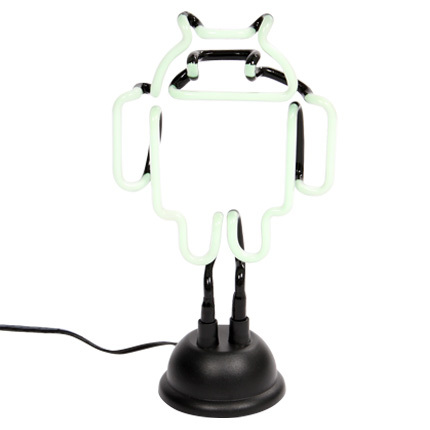 Ultimate Android collectors, this new neon Android lamp in the official Google store is your next purchase. What better way to light up your night life than with your favorite mascot? As the product description states, you can “start the party early” with this little guy. It might be a solo party filled with Mountain Dew Code Red, the Android SDK and an IRC ROM channel, but hey, to each his own, right?